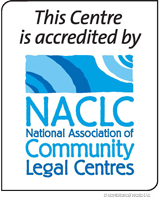 Eastern Community Legal Centre (ECLC) recognises the importance of treating personal information confidentially. Protecting clients’ privacy and personal information is an important aspect of the way services are managed. ECLC is committed to satisfying all legal and ethical obligations regarding the protection of privacy and confidential information. ECLC is committed to protecting the privacy of your personal information. The ECLC site does not collect or record personal information, other than information you choose to provide though our enquiries and email addresses. ECLC staff use personal information collected from emails to respond to individuals and discuss their particular enquiries. Email address and any other contact details you provide will not be added to a mailing list without your consent. Telephoning ECLC on 9285 4822. ECLC will not disclose your personal information to a third party without your consent, unless we are required or authorised to do so by law or other regulation. In the event of an investigation into suspected unlawful or improper activity, a law enforcement agency or government agency may exercise its legal authority to inspect the web server’s records (eg in relation to hacking or abusive messages). To the extent that this data could make you identifiable, ECLC will not attempt to identify individuals from the records the server automatically generates unless it is necessary to investigate a breach of law or regulation. The website also uses web beacons. Web beacons, also referred to as a web bug, pixel tag or clear gif are used in combination with cookies to monitor and collect user data such as IP address, session time and type of browser used while visiting the site. This website does not provide security for the transmission of your personal information. Currently personal information sent to this website is emailed directly to the relevant staff member for attention. ECLC is confident that this information is being managed securely. ECLC does not currently have the technology to secure information beyond this. The Chief Executive Officer and employees of ECLC have a duty to deal with your personal information confidentially. However, you should be aware that there are risks in transmitting information across the Internet. If you are concerned about sending private material to ECLC over the Internet, you might consider telephone communication on 9285 4822. 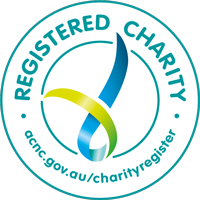 If you wish to clarify anything about this site, have concerns regarding your privacy, or our copyright or disclaimer policies, contact ECLC on 9285 4822. Please note that our privacy statement does not extend beyond this site.